Miss Vita (Tilly) is the dam of Dylanglen Miss Millicent (by Newlands Gideon) and the grand-dam of Dylanglen Deliliah (by Dash To Paradise). Tilly is an ex-racehorse turned pony club mount. She has a fairly even temperament with an easy going nature. Se is very easy to handle and will do any discipline at pony club. She was especially good at showjumping and cross country where Alison Murray took her to A Grade. Tilly would not have to be lunged before riding her while she was in work and you only needed to ride her 3-4 days a week, not every day. You could give her a 2 week break without a problem as she would be the same horse you rode last time. She was ridden by Kirsty and Michaela Adams. Kirsty loved doing dressage with her and Michaela loved doing Cross Country with her. 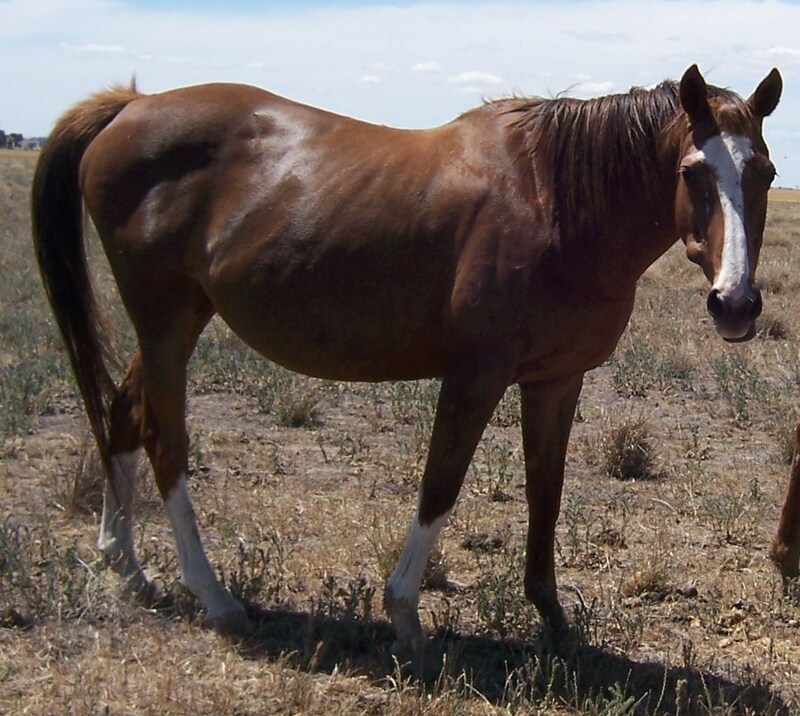 She is now a retired brood mare for our Part-Bred Connemara’s. We are so happy with Dylanglen Miss Millicent that we are trying to get another foal out of Tilly with Newlands Gideon. Dylanglen Miss Millicent is a good height with solid bone for a TB cross. Hopefully we are successful and get another filly foal.